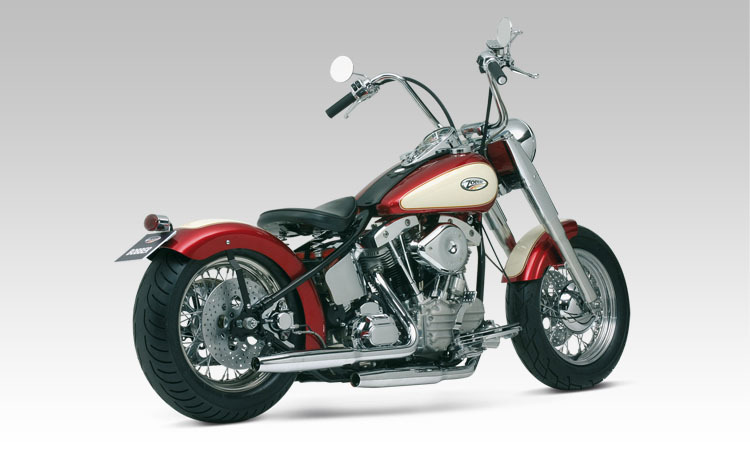 The “Bobber Style Harleys” were there before the Chopper was born and it’s there where the Harley Custom world began. When the American World War II flyers returned to the USA they were a kind of a wild bunch and needed a thrill every now and than. They started racing each other on bikes on roads were it really was better not to race, just to keep the adrenaline going. All that was available were the heavy Flat and Knuckleheads. To go faster, they stripped the bikes of anything that wasn’t needed, and shortened or ‘bobbed’ the rear fenders. The Bobber was born. Ton Pels, General Manager of Zodiac and also known as “The Godfather” of drag racing, started building this 21st Century Bobber when S&S introduced their complete Shovelhead style 93 Cubic Inch engine. This engine looks really “Old School” but delivers impressive horsepower and torque. As this S&S engine was also designed to take a state of the art alternator style electrical system the bike could be equipped with a high-power battery and consequently a high power starter motor. Purists may have the opinion that a real Bobber should be kick started but we can tell you life is a lot easier with an electric starter. This 21st Century Bobber became combination of Old School looks with today’s performance, dependability and comfort. That is also the reason why this bike features a 5-speed transmission and powerful hydraulic disc brakes. Ton started building the bike with just one limitation: all required parts had to come out of the Zodiac warehouse. O.K. frankly speaking that isn’t much of a limitation as Zodiac stocks some 25.000 different parts and accessories for Harleys. 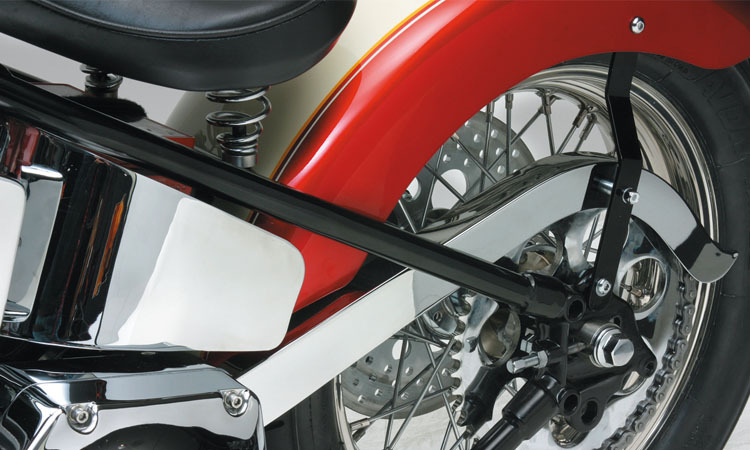 The first thing Ton took from the shelf was a Wishbone style hardtail frame. Added a Zodiac Hydra-style front fork, Zodiac Flat Side gas tank, a 4 1/4″ wide rear wheel with a 180/60×16 Avon tire, TPD 5-speed transmission, Zodiac steel fenders, an Ape-hanger handlebar and a Le Pera solo seat. To have enough electrical power available to start the S&S High Compression engine a powerful and reliable Odyssey dry cell battery was used. The building of the bike took as little as 2 days, mainly because all parts were bolt on, thus no fabrication was required. At the end of the 2nd day it was just a matter of oiling the bike up, filling the gas tank and push the starter button. S&S really did a great job with redesigning the rocker boxes, and adapting the camshaft to a more Evolution style timing that works very well with the 10:1 compression. What was intended as a short test drive with a bike in bare metal looks finally took more than an hour. When Ton came back into the workshop he had a twinkle in his eye and, dare we say it, even a hint of a smile and said: “This is a bike we are going to supply as an “build-it yourself” motorcycle kit, this bike has got it all!” And when the Boss says it we do it. 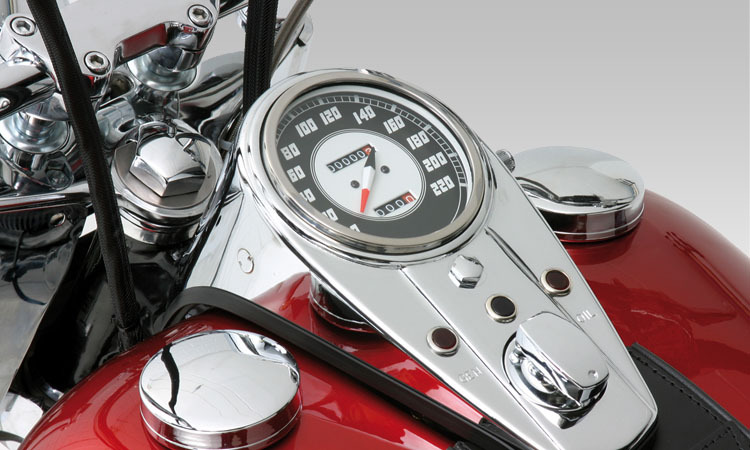 The Bobber motorcycle kit is now available. And the latest news for those who love the bike but want it with an Evolution style engine is that it is available with an TÜV Euro-2 approved 96 Cubic Inches or TÜV Euro-3 compliant 113 Cubic Inches S&S “V2” style as well. 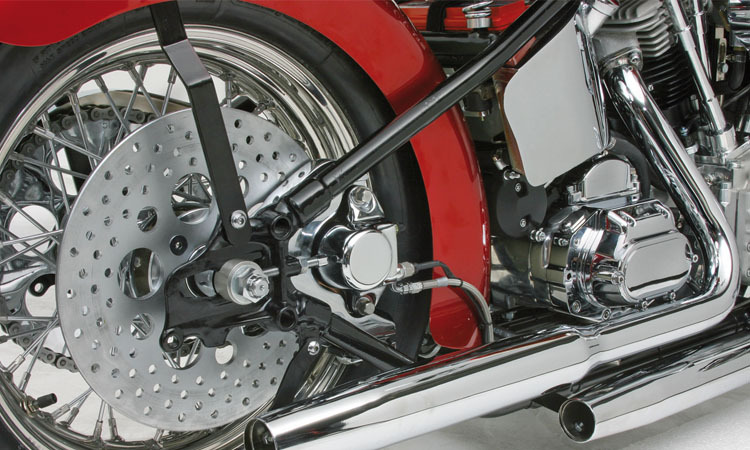 These package deal motorcycle kits are comprehensively equipped and competitively priced. Order it, Build it, Paint it, Ride it.